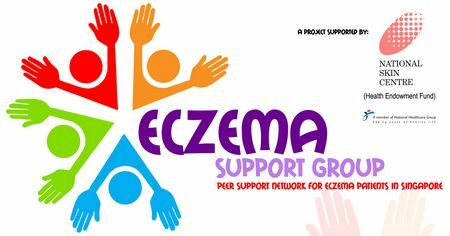 As you might have read, Eczema Support Group, Singapore, kicked off to a successful start with its inaugural event on 14th July 2012. Thank you to the close to 100 attendants who filled up the feedback forms, from which we got a better understanding of the needs of our members & participants. The top three are (1) eczema information, (2) raising awareness and (3) sharing. As all of you know, I’ve been passionate about running support group sessions and will now do so under the Eczema Support Group. Mark Your Calendars for Sharing with Parents with Eczema Children! So, What are we Sharing? Since this Eczema Suport Group is the first in Singapore and I assume, a sharing session like this is also the first! – we are all pioneers in this and so everyone got to bring a little patience with a big open heart. 2. Topic of Sharing – Moisturizing! Do feel free to bring along your favorite moisturizing lotion/cream/ointment (if you’re like me, I’d suspect it’s already in your baby bag) and we can all share how we moisturize, when we moisturize & what we moisturize with. Mölnlycke Health Care representative, the company behind wet wrap Tubifast, will be on-hand to help out with your questions on wet-wrapping. There will be no doctor present, so don’t expect to be able to ‘Ask the Doc’. Information shared is not medical advice, please still see a doc. If you’re a product company checking this post, please don’t masquerade as a parent and attend the session to promote your product, you will be asked to leave. 3. Goodie bags – We have goodie bags with some sample-size creams from Ego, maker of QV as well as hard copies of my picture book ‘A to Z Animals are not Scratching!‘ for giveaway. 4. Food – I’ve a little budget, courtesy of National Skin Centre Health Endowment Fund to buy food. If you like to bring a cake you bake to share, do feel free. Or I heard this thing called cake-pop is really ‘in’ now, so anyone who like to make some and bring, we’d be more than happy! 5. Toys – I’d be bringing my toddler’s color pens, puzzles to occupy our kids. If you’ve a toy that you know would occupy your own kid, please please bring along. 6. Setting – It’s not cosy but we can make it so! It’s a meeting room 401, with a big table and chairs. There’s a sofa and a little (small area) where your kid can sit and play. Hmm.. if everyone bring your kid, there may be overcrowding, well, please wash their hands before coming and make sure they are not down with HFMD or flu. 7. YOU MUST RSVP – Our medical social worker who is helping with the Eczema Support Group will be in-charge of confirming your attendance, which isn’t confirmed till she says so! If you’re coming, please email me ([email protected]) your name, mobile and email, number of adults & kids coming, so that I can get her to contact you. 8. Ok, I’m long-winded, but so excited! Bring lots of patience please… for bearing with me and any hiccups that may happen on that day.